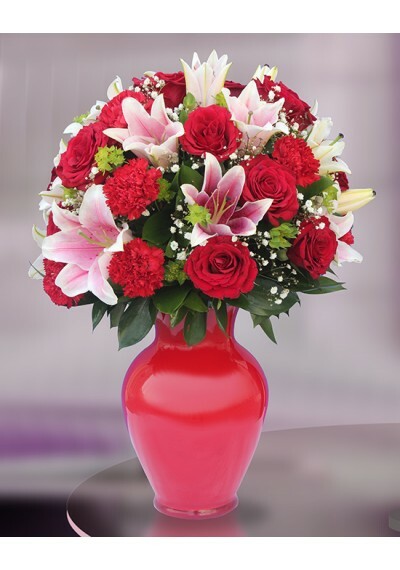 Forever True Bouquet is blooming with bright color and beautiful charm to create a gorgeous gift for any of life's particular moments. 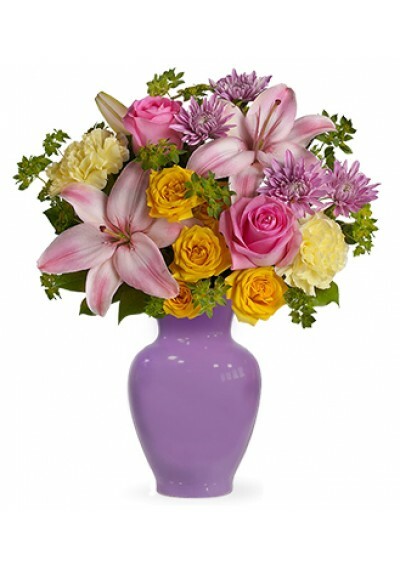 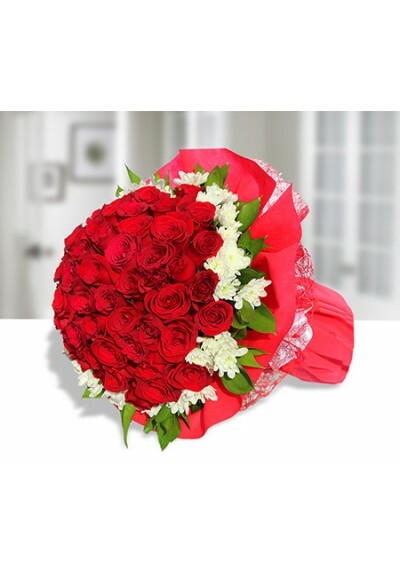 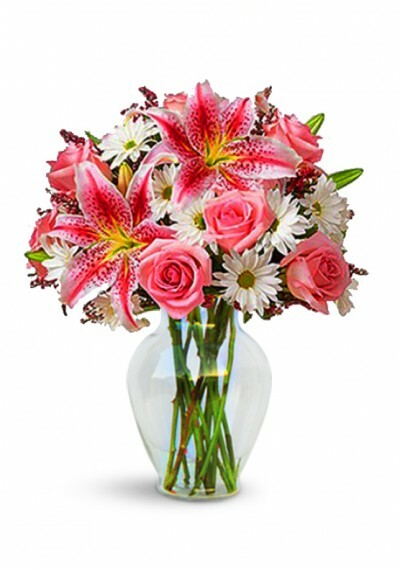 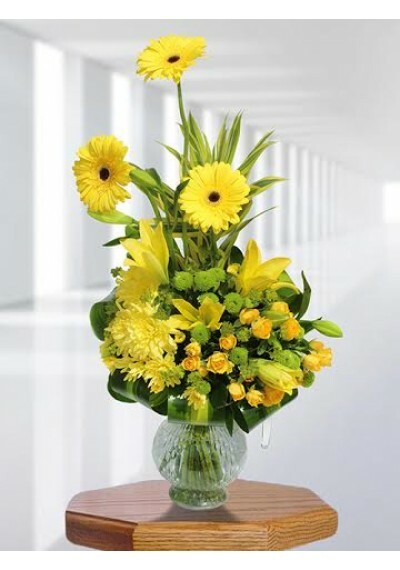 Standard size AED 279.75	10 Pink Lily, 21 White Chrysanthemum, 9 Pink Rose. 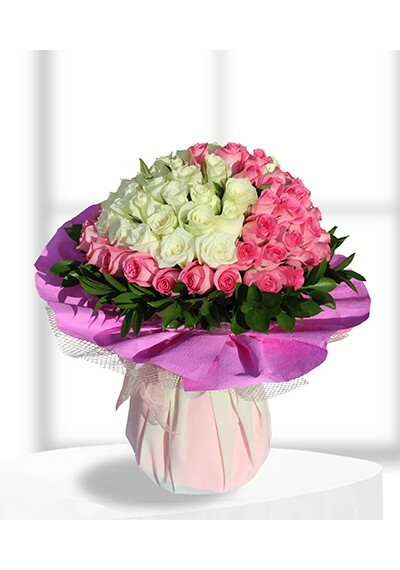 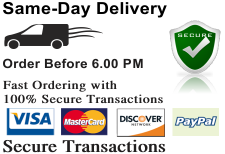 Deluxe size AED 309.75	12 Pink Lily, 28 White Chrysanthemum, 12 Pink Rose. 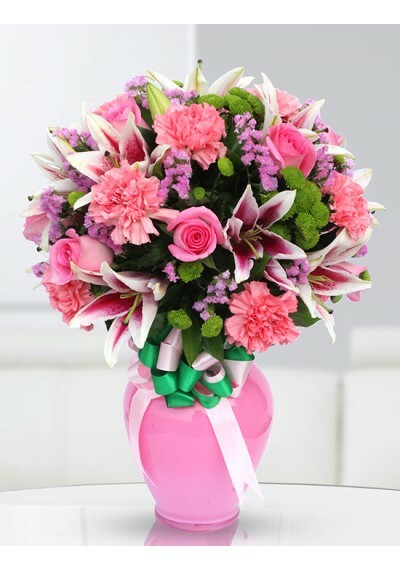 Premium size AED 359.75	15 Pink Lily, 35 White Chrysanthemum, 15 Pink Rose.